I was recently commissioned to create some illustrations for a client here in Barcelona. He wanted scenes from his home on an island in Sweden, with his children. It was a fun project and I found out that there are special crayfish that Swedish people eat in Summer. There is even a crayfish eating party which is a traditional event! 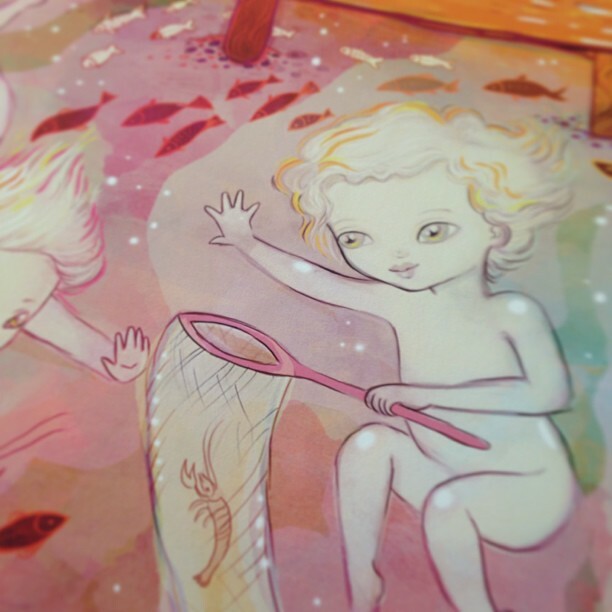 Their island home and summers seem magical, filled with swimming in the lake, and picking wild mushrooms. It was this sort of atmosphere of adventure and enchantment that I wanted to capture in the 3 illustrations.